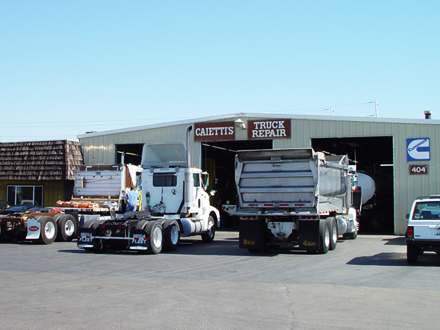 Caietti's Truck Repair is a full-line repair facility that has been family owned and operated since 1944. Peter Caietti III is the company's 3rd generation owner. We employ six technicians and one service manager. We are an authorized Cummins Dealer for M11, NT, and N14 engines. We specialize in Cummins Engines, overhauls, NOW3 overhauls, electronics, fault code troubleshooting and repair, and up rating engines calibrations. Other services we offer are BIT inspections, full servicing, welding and fabricating, suspension repairs, transmission and differential overhauls, and electrical repairs. We do repairs to all makes of vehicles specializing in class eight and medium duty.